We receive quite a few stories from Wal-Mart employees about what life is like inside America's largest employer. But this one comes from a remarkable point of view: a longtime Walmart store manager, who vents in detail about how Walmart has systematically screwed employees over two decades. "I was recently on your site and was reading several of the stories from former and current Walmart associates. I would like to give you my experience. I write to you with a new email and will not give my real name; retaliation is alive at Walmart. I've been with Walmart for over twenty years beginning in the early 1990s. I've work at more than 9 walmarts and held various positions. I'm currently a salary assistant store manager and been one for nearly a decade. For most of my career at Walmart I enjoyed coming to work and quite frankly was the happiest before I became a manager. Once I took on the role as a manager I was privy to meetings, emails, and behind the door discussions that a typical associate will never hear. I know that well established companies must change as time progresses to remain competitive. However I'm not oppose to change and welcome it. If anyone was to speak negatively about Walmart back in the 90's I would be a defender of Walmart and I was only a stocker in my early twenties back then. But Walmart was a much different company. I started shortly after Sam Walton's death [ed.-in 1992]. We just began the expansion of super centers and no real international presence. In fact in those days we still had signs in our stores that read 'Buy American.' We would have items flagged that were manufactured in America and brag about the jobs we created by buying American goods. We all know that isn't true now. Before I begin to relay some knowledge you may not be aware of or heard I would like to list to the best of my abilities some of the benefits Walmart has taken away from its associates in the last twenty years. In 1997 Walmart changed the policy and put 2% in Profit Sharing and 2% in their new 401-k. They effectively got rid of 2% and never bother to inform associates of this loss. The typical associates had no clue how this would impact them in the long term. This is typical of Walmart executive is to change benefits but spin it as a good thing. Eventually Walmart around 2010 did away with Profit Sharing all together. They now have a 100% match for the first 6% contributed to the 401k. This actually is better however again Walmart know the typical employee can not afford to contribute to the 401k plan. Even though this has helped my 401k balance greatly since I can afford it; I know it doesn't help the many people that work under me at $8.00 an hour. 90 Day Raises: You use to get a raise after 90 days, they took this one away recently. So now you must work 12 months to get a raise. 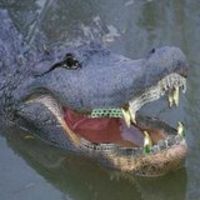 Insurance Cost: Maybe not fair to blame Walmart on this one but in early 1990s' I was paying $9.00 per pay period (BiWeekly) for a $300 deductible. Now I pay $150 (Bi Weekly) for a $3500 deductible. Good Job Pin: This was again another award program. If you got four of them you could turn them in for one free share of Walmart stock. Basically all award programs of monetary value has ended at store level. With the exception of a possible quarterly bonus up to $475 but i never been in a store that got such a large amount. Pay Cap: Walmart use to keep giving you raises no matter your hourly rate. They now have caps based on position held. I have many associates who have not received a raise in nearly nine years. I could keep going but basically Walmart has been hacking on its benefit and pay structure for years to save on cost. Their over all view point is that there is little difference in performance and return on investment from a ten year associate and a new hire. As I said before, Walmart was a good company to work for in relations to the retail sector. However I feel horrible for the associates I have to manage and the struggles they face. I ask this question, How come in 1999 Walmart could pay me over $10 an hour but in 2014 I hire people in at $8.00 an hour? I know Walmart will claim that the average associate makes $12.78 an hour. I have multiple degrees and one is in business. I don't need a degree in business to understand elementary statistics. The question that should be asked is what the Median pay of Walmart associates is? The typical associate (median) is under $9.00. I know this for a fact. Sure if you add all the ones who make $15-$20 an hour plus us managers that make $50,000 to $100,000 then you can get the $12.78 an hour average. Below is something you may not be aware of and I will finish the email with this tidbit. Walmart use to require us at the stores to have a 60%:40% ratio to Full-Time:Part-Time. Then I was told it had to be 40%:40%:20%, Full-Time:Part-Time:Temporary and to add insult we expect all associates to have open availability. Also Temporary associates can work at the store for six months to a year and not be entitle to any benefits. So if you have 100 associates, 40 FT, 40 PT, and 20 Temporary. Paying a lot less in benefits plus turn-over is high. Now here is where a lot of greed and in my opinion immoral behavior begins. This company is being managed by the quarter. We have executives who have no vested interest in Walmart. All they care about is their salary and bonus. So when they make poor decisions, for example this Christmas when they had a One Hour Guarantee for multiple items. This was a complete [financial] disaster but yet the executive praise what a big success it was. [...] You know what direction us managers were given to do in January? Remember Walmart's fiscal year ends January 31st. You guess it, cut hours. For the poor decision made by executives at Walmart who could care less where the company is at in 10 or 20 years, we had to cut hours. Not only that we had to cut all expenses. Home office put a hold on all our ordering of supplies and try explaining to customers you don't have toilet paper for the rest rooms. We had to cut all our part-time associates from 32 hours to 25.5 hours. All our full-time associates had their hours cut too. In addition we had to call all the people we had scheduled for orientation and tell them we couldn't hire them. Imagine you were told to start Walmart on Thursday but then get a call on Wednesday saying nope can't hire you. Do you know how hard it is to go to someone that make $8.85 an hour and tell him, sorry but I have to cut you down to 25.5 hours. These people can barely pay their rent as it is and with no notice we cut their hours. 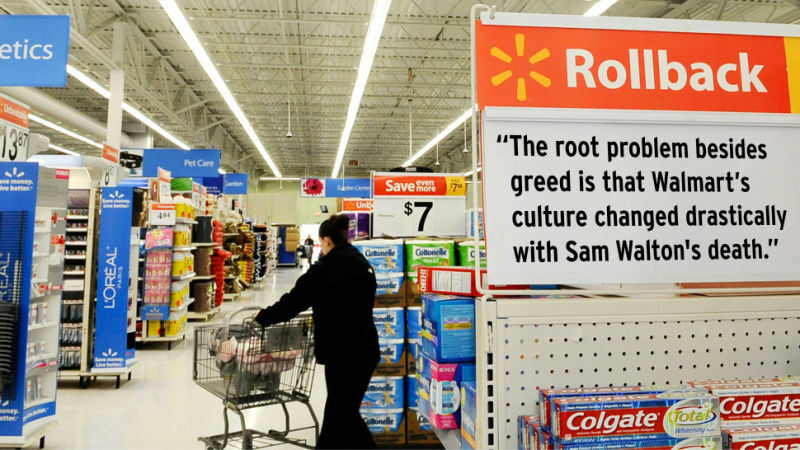 The root problem besides greed is that Walmart's culture changed drastically with Sam Walton's death and the departure of David Glass as our CEO and Tom Coughlin. Lee Scott [WM CEO from 2000-2009] instituted a [culture] where you could not question the company's direction or offer critical feedback to the leadership. Years ago on our company intranet site, he had something I believe was called 'Ask Lee.' It was basically a place you could ask him a question and he would respond. I remember a Store Manager asked Lee Scott why walmart didn't offer its store associates a pension program so they could have the ability to retire. Lee Scott blasted this store manager for asking this question and I was quite surprised that he even allowed this example to be posted. None the less 'Ask Lee' was eliminated and I wouldn't be surprised if so was the store manager. This mentality extends all the way down to the lowest level of the company. I could never send an honest feedback such as this email to anyone of authority at Walmart without being retaliated. I've seen it many times. We even had a 50 year celebration last year and each district was to send salary managers to a open forum discussion. Guess what the direction was, 'Select managers that are positive' and it was understood you were not to 'complain' about anything. Your market manager and store manager were present for these meetings."